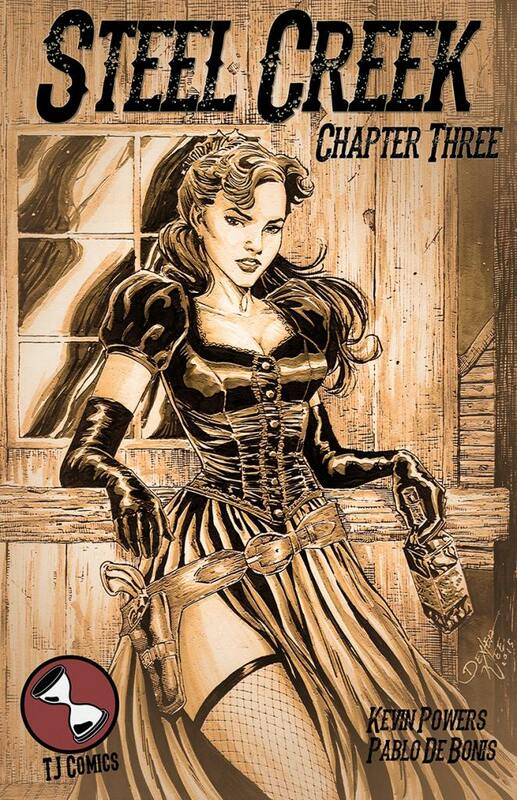 Steel Creek: Chapter Three Available Now! The latest chapter in TJ Comics’ epic western, Steel Creek, is now available for download. Introducing new series artist Pablo De Bonis, Steel Creek: Chapter Two takes a deeper look at the characters and people that make up Steel Creek. How deep does the Colonel’s corruption go? What kind of true power does he hold? Is Hammer trying to disrupt that power and are they in the midst of a deadly game of chess?